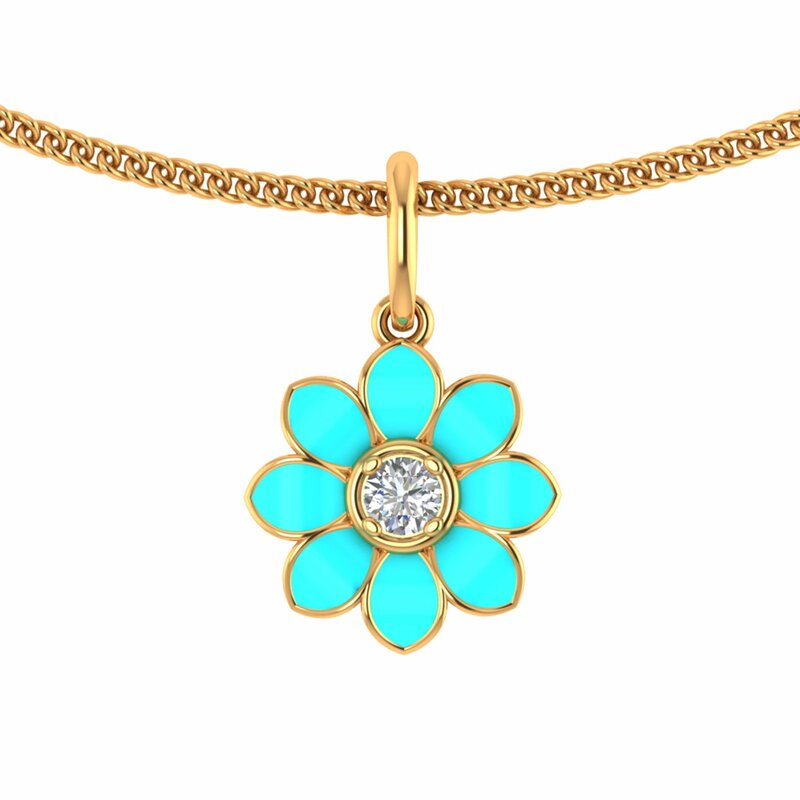 Blooms in red and pink may be a common sight but turquoise one is rare and when carved into a gold pendant, it goes beautifully with the outfits of the same shade. Whether it is casual or ethnic, without a second thought, it can be teamed up together. So men out there, if you are looking for a stunning Valentine's Day gift for your soulmate, this is it!